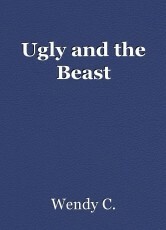 Ugly and the Beast, book by Wendy C.
What if the main female character is not beautiful and the beast have fall in fall with based on character? Alex can break the curse is love based on character, not appearance. Nicholas the man that rejects Anastasia start having second about Anastasia. Anastasia's sister Julia is angry at being rejects by Prince Alex. Anastasia and Prince Alex are getting closer. Anastasia and her family get ready for Christmas. Anastasia learn about the lost princess. Prince Adam turns human again. The fairy put a curse on Princess Catherine. Hi, I like this first chapter. Shaping up to be a modern day fairy tale with a good message attached to it. Looking forward to reading the rest.